A palm reading life purpose is all-inclusive including career, health money, love, future, and life mission advice. Answers from the lines on the hands. Do you have questions for me? Do you feel completely powerful and confident about your life path? Life mission or purpose is something that is unique to you. Your character through the fingerprints and hand analysis can decipher your soul’s purpose for being your true self. Why do I need to know about my life MISSION? To be aware of the reason that you are here, living the life you are meant to live, your values, your worth, and your goals from a soul perspective. Who are you? What are you? Why are you? I’m okay with my life, I think? Some of us are living our life purpose yet are completely unaware, and others feel altogether disoriented in their world. I’ve got a good job, but could I or should I be doing something else? Life mission is not about what you ‘do’ but more about the attitude and how you experience life. It continues to form as we mature. It’s about feeling powerful and active in your way; not hiding in a corner or feeling guilty but instead being passionate about life. It’s about knowing ‘who’ you are; but, for any life purpose to work, we also need to understand and how to deal with ‘life lessons’. Can I prevent these life lessons? Life lessons are what we all will inevitably experience before we become successful in our mission in life. But these lessons can assist us to realise the true purpose in life. Lessons and experiences such as feeling powerless. What are some of the positive qualities a life MISSION reading can reveal? You will discover what your full potential and natural character traits are, such as talent in business or the arts. We are all aware that our fingerprints never change. So in hand analysis, these prints are our real character, which will never change, unlike other features and lines of the hands. With fingerprints, however, because we carry the same ones throughout our whole life, we can read these prints. From the day that a person is born, we can decipher our real purpose. This life purpose naturally will come with the life lessons or ‘karmic debt’ that the child (or adult) will at one stage face in their life. As a parent, I feel it would benefit knowing how we can help our children grow and become successful. We all would love to see our loved ones happy and, of course, we want happiness as well, no matter what part of our life we attain it. Palm photos. 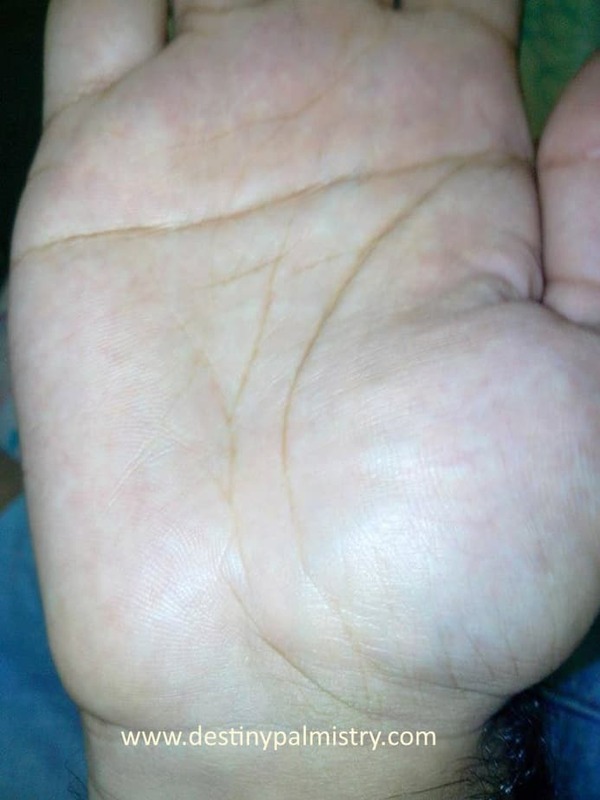 Please e-mail photos to HERE – Clear photos of palms with the whole hand and fingers visible, see examples below. Payment: Click on Buy Now to pay with PAY PAL. Contact us for other payment options. (I will contact you via email with the approximate completion day). NOTE: It takes careful analysis from the hand, fingers, fingerprints and lines to prepare a full life guidance reading. The study is very personal and written into a pdf document and sent via e-mail to you. Please allow at least 48 hours for your reading as all documents are prepared in order of prioritisation. Sari Puhakka, expert hand analyst, writer, and artist. Sari has been studying hands for over 32 years; it is her passion to help people succeed in their life. Sari initially wrote a motivational book called “Claim Your Power and Succeed in Everything You Do” to help people clarify their life purpose. She realised it was her mission in life to be seen as an expert in her field of palmistry and have the power to help people see their potential to succeed. Palm reading life purpose is the recommended reading. NOTICE: The author and publisher disclaim any liability or responsibility to any person or entity with respect to any outcome, loss or damage caused directly or indirectly by the utilisation of any information presented in the palm reading life purpose. Intended for general advice and or entertainment purposes only.